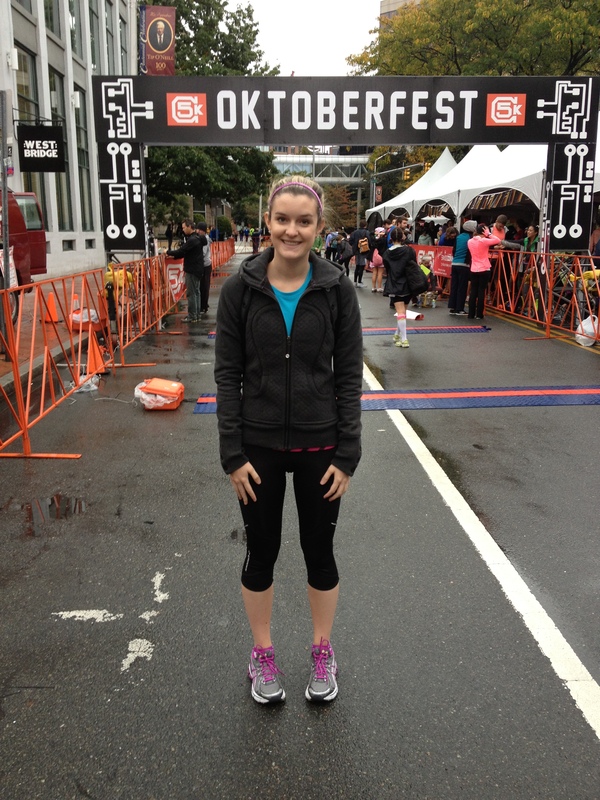 Race Recap: Cambridge Oktoberfest 5K and a new PR! | Fit Girl. Happy Girl. Race Recap: Cambridge Oktoberfest 5K and a new PR! This past weekend was absolutely fantastic! I was able to see my Dad play for his acoustic duo (probably the last time I’ll see him play for awhile), I had a great going-away dinner with my entire family and my closest friends and on Sunday I PR’d at the Cambridge Oktoberfest 5Kand ran the race with some of my best friends! I don’t think it can get much better than that. I registered for the 5K sometime during the summer and hadn’t really been focusing on it at all because I had been focusing so much on the half marathon. However, last week I did a little speed work to prep for the race and was feeling pretty good about the race. I was also looking forward to it because I was going to run it with my cousin Paige and my friend Lindsay who had both run it last year and said it was a blast! I stayed over my friend’s apartment the night before the race to spend some time with her and be closer to where the race was actually taking place. I was pretty disappointed when I woke up however because it was cloudy and raining- I swear, every single race I run has been in the rain, I’m over it. But I got dressed, had a slice of toast, put on my hoodie and we were off. Pre-race shot of myself at the finish line! We met up with Paige, Lindsay and their boyfriends at the starting line outside of Cambridge Brewing Company, who was sponsoring the race, in Cambridge, Mass. We had quite some time before the race started so we took a bunch of pictures and did some dynamic stretching to get ready. Around 9:45 a.m. we started to head over to the start line, which was about a quarter of a mile away from where the race would finish. Paige really wanted to line up at the front of the pack because she didn’t want to get lost in the sea of runners. I thought this would probably be a terrible idea because although we’re good runners, we’re not THAT good and I thought we’d be trampled. Lucky for us, when the gun went off, we were able to get out front and keep a really solid, fast pace for the beginning of the race. I was SO disappointed my Garmin didn’t find a signal in time for the start but Paige was tracking the course on her iPod nano so we knew we’d have the most accurate times. Lindsay and I kept pace with Paige and her boyfriend for the first mile but they’re much faster than us so we lost them after that. Lindsay’s boyfriend was trying to PR with a time under 21 minutes so he was long gone ahead of us too. I forget exactly when I lost Lindsay but she was dealing with a pretty bad stomach cramp and had to slow down a bit. I was feeling really good however and thought I had some extra energy to kick it up. As I came to the 2 mile marker I was feeling great and I knew I was going at a pretty good pace. My legs felt fresh and my breathing was steady. When I passed the 3-mile mark the timer read 26:32 and I could not believe it! My last 5k I ran in 28:09 so I was going much faster for this one. Then something weird happened, the last leg of the race, which should have been .1 miles seemed like it went on forever! When I finally crossed the finish line the timer read 27:32- this is arguable still a huge PR for me but I was dying to get 26:??. I was still extremely proud of myself and at that point I was just focused on finding Paige and the two boyfriends while we waited for Lindsay to cross. When I finally found them in the sea of runners Paige told me her watch said the course was actually 5.58 kilometers which we clocked out to be roughly 3.5 miles. I don’t know exactly how much time off that would mean to get my 3.1 mile time but it is most certainly in the 26:??-area!! I was on cloud 9 at this point and was ready for the much-talked-about Oktoberfest after party. We met up with Lindsay and all went to claim our complimentary beers. The race coordinators were blasting some German techno music and even though we had zero idea what the lyrics were, we had a blast dancing in the streets with all of the runners. There was a dance off and Lindsay and I even took part in an impromtu limbo contest- it was awesome! After the race we grabbed a bite to eat at the Cambridge Brewing Company and drank some much needed waters. After lunch I said goodbye to Lindsay and Paige, arguably the worst part of my weekend because I knew I wouldn’t be seeing them for a very long time but it was definitely the best way to spend my last weekend with them! Overall the weekend was amazing- an unexpected huge PR, fun times with my friends and family- doesn’t get much better than that! Have you ever had a completely unexpected PR? Tell me about it in the comments section below! Congrats on a great race. Looks like it was a fun one, too!! It was a complete blast! Best race I’ve done so far. Awesome! Way to go! Since I only have one race under my belt at the moment, I got a PR! 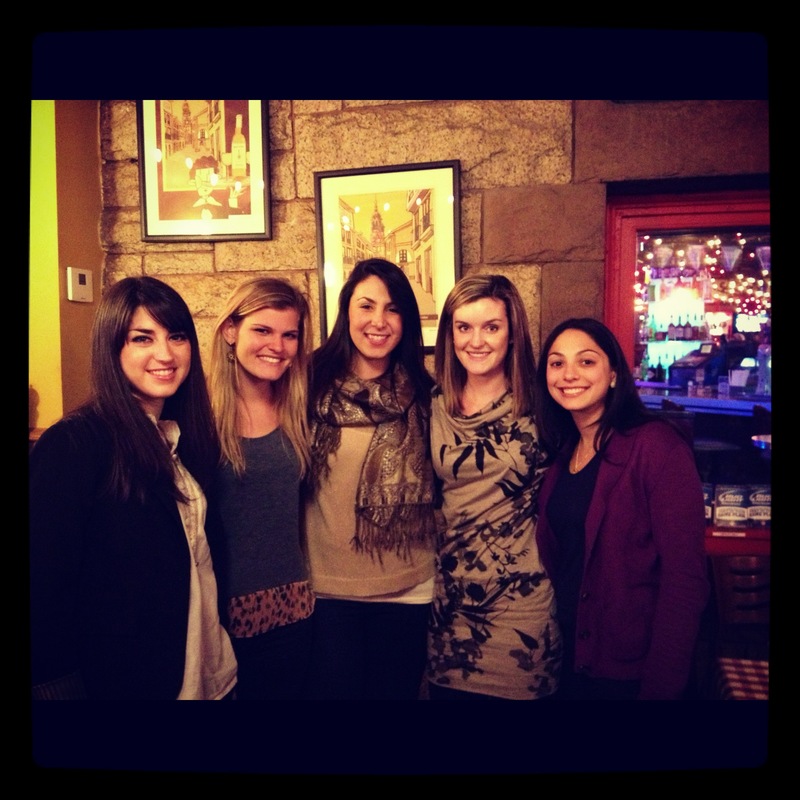 :) Love reading about your running adventures! Awesome race! Sounds like the post-race activities were a ton of fun too. It was such a fun race and after-race party! Definitely going to do it again next year! Sounds like you had a great time, congrats on the PR. I wanted to do this race but I had one the day before. I have PR’d when I did not expect to. It’s happened when I felt under trained, tired or injured. It’s always a happy surprise and I try to learn something from them.Obviously, something went very right for those races. Thanks! Also thanks for sharing your story too! Nothing better than an unexpected PR. hey hey hey, I was only 30 seconds behind you!!! lol but it was a great race :) so glad we got to do it together!! put it on next year’s calendar, wherever you may be. Ah! My bad Linds! This race is definitely on my calendar for next year though, no matter where I am!